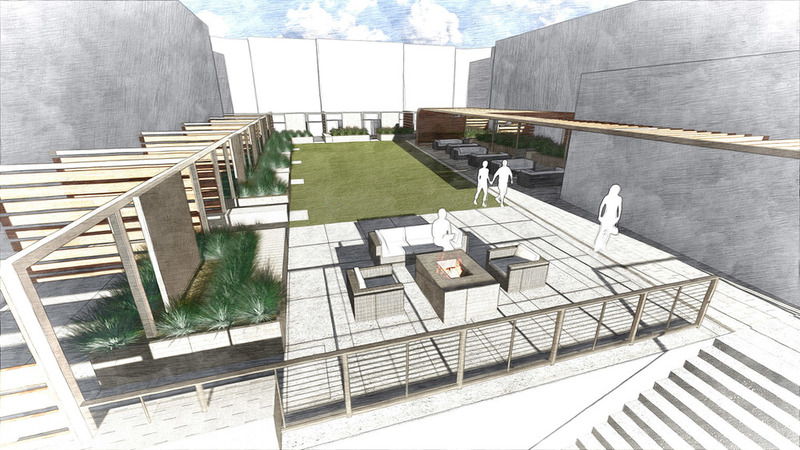 Hodgson Douglas developed hardscape and landscape plans for the perimeter streetscape, 2 courtyards, and a roofdeck lounge. The streetscape between Middleton Lofts and the Terra House and City View units is the most visible edge of the Middleton Lofts project and was designed to create a cutting edge streetscape that integrates the units and the street in a modern way. 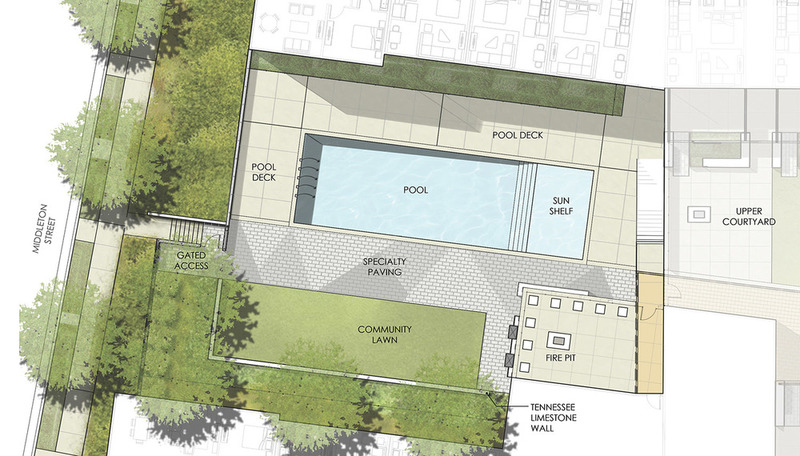 The largest amenity space, the pool amenity area, will be located on top of the garage podium. It contains a pool and large pool deck. The space extends through a void in the building to a deck overlooking downtown and the Terra House Park. The transition space created by the void will serve as spill out space for the club room amenity space. 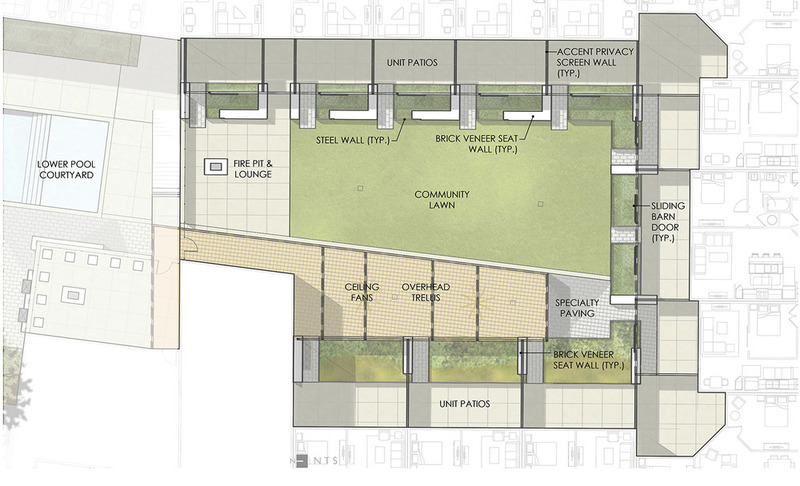 The smaller courtyard amenity area will be less formal than the other amenity areas. It was designed to be a place for relaxation, containing much more “green” than the other courtyards with large lawns and swathes of planting. The courtyard includes a rain garden to handle drainage from the immediate area.